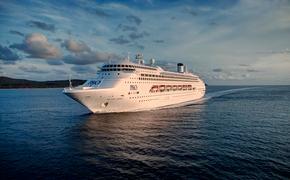 Crystal Cruises this summer will feature rising young talent from the performing arts world. Continuing its partnership with The Music Center-Performing Arts Center of Los Angeles County, the “Emerging Artists”-themed North Cape and Mediterranean cruises feature winners of the Music Center’s annual Spotlight Awards. The 12-day June 19 cruise from Venice to Istanbul on Crystal Serenity will feature Royal Danish Ballet dancers, opera and classical pieces. The 15-day July 8 cruise from Copenhagen to Stockholm on Crystal Symphony will feature jazz performers. The 12-day Aug. 13 cruise from Venice to Barcelona on Crystal Serenity will feature international songs, guitars and regional folk dancing. Each voyage also includes Master Classes At Sea, showcasing the intense mentoring and preparation required for professional career success. Until June 30, all-inclusive fares for the Experiences of Discovery voyages start at $5,610 per person.